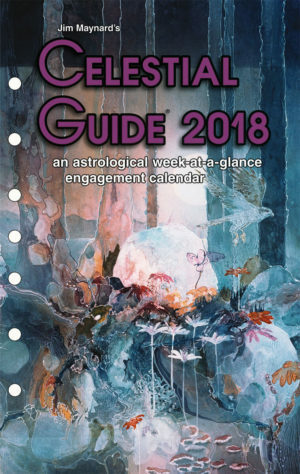 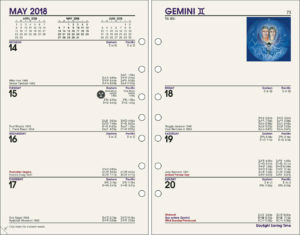 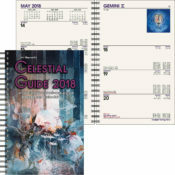 Celestial Guide® 2018 is an astrological week-at-a-glance engagement calendar. 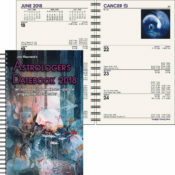 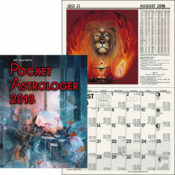 It has plenty of room next to the daily astrological data for your daily notes, reminders, and appointments. 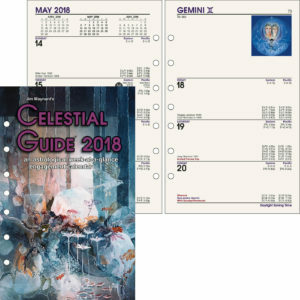 SKU: 2018CGL. 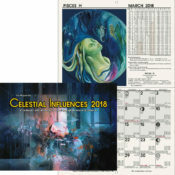 Category: 2018 Calendars.